While talking to clients, I often have to answer questions about the Self Assessment Toolkits. More specifically, queries why there are so many questions in the toolkits. And why there isn’t more video training or text based information about the subject that is contained in the toolkit. There are a number of reasons for this, but the most important one is that it is becoming more and more clear that the real problem solving skill lies in the power of asking questions. I read this statement somewhere and it is so true. Asking the right question is very important. With the modern AI, algorithms and search options via the browser you can find almost every answer to every question. The trick is to answer the right question. Now that finding the answer is simple, we need be more careful about the questions we ask. Don’t just settle for the first thing that pops in your mind… be thoughtful about the questions you ask. Be deliberate and try to ask the question behind the question. Ask the question nobody else has asked before. 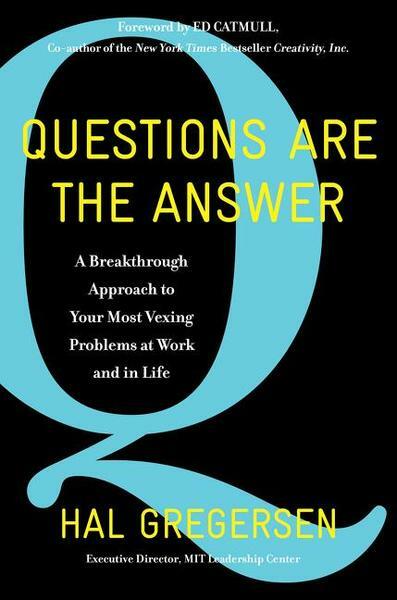 What if you could unlock a better answer to your most vexing problem–in your workplace, community, or home life–just by changing the question? Talk to creative problem-solvers and they will often tell you, the key to their success is asking a different question. — introduction to the book ‘questions are the answer’ by Hal Gregersen. We need to ask better questions to be able to find better answers. But coming up with questions is hard. It’s difficult. It requires deep thinking…. or a Self Assessment Toolkit. Seriously – each of the toolkits has almost 1000 questions regarding a specific topic. I’m sure you can find a couple in there that will stimulate discussion or even spurs the organisation into action. The right question in the right situation is super powerful.